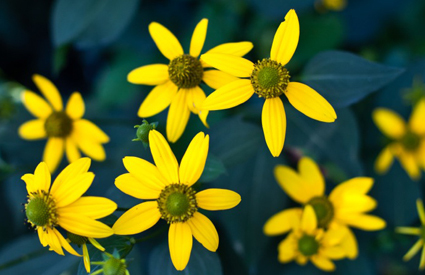 This attractive and tall wildflower is one of the last flowers to bloom in the summer. You’ll find 3 to 5 toothed lobes on the leaves of the plant with a disc of green flowers surrounded by a ray of bright yellow flowers. These plants are found on forest edges and streamsides in moist soils.